Ask an Expert Need Financing? Every spa or hot tub that we sell has undergone a rigorous 7-10 day inspection, testing and repair process. This process includes raising the spa 2” off of the ground, filling it with water and inspecting the wiring and seals. The spa or hot tub will receive a 10-point inspection every other day during this time period. Following the test and repair the hot tub or spa will be fully detailed, including shell and plumbing sanitization, jet cleaning, equipment cleaning and cabinet repair. Only then is it available for purchase. Once the spa or hot tub has a new owner, it receives another test run. That’s right, before we deliver the spa or hot tub to your house, it will undergo another 48-hour test. We then clean it again and prepare it for your family’s use. Families that purchase pre-owned spas and hot tubs from other companies are happy to see them run once, if at all. There is a reason for our reputation as the leader in hot tub and spa repair and service in Denver. 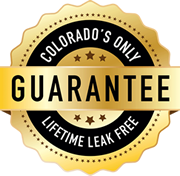 We provide a warranty on all of our hot tubs and spas in Denver, Colorado. This warranty is included in the sale and is not added in any way to the sale of your spa. This means that we have as much at stake in the quality of your hot tub or spa as you do. If the spa or hot tub has any issues, the cost of parts for repair lies on us. We are very proud to boast a 9% warranty rate, which is only 1% higher than most new spas have right out of the box. Call Everything Hot Tubz today for details.Everything Hot Tubs Denver.